Chad loves brunch. It's one of his favorite things. He loves all the egg dishes, especially eggs benedict. He loves pancakes. He loves coffee. He loves a good bloody mary. I stay up later, and sleep later, than most polite earthlings. Brunch hours don't jive with my night owl ways. I don't like a big meal early in my day. I prefer iced tea to coffee at just about any hour. I find bloody mary drinks repulsive. *gack* A mimosa is nice in the early evening on a hot day. I don't like eggs, especially eggs benedict. *gag* I may be the only person who doesn't love pancakes. Pancakes are okay, but not really cake, and not really proper nutrition. Why spend the calories on them? I take much more time than Chad does to ready myself for the day, minimum fifteen minutes, but usually thirty minutes. It feels like work when I have to rush to ready myself to beat the crowds to brunch for food and drinks I don't love at a time of day when my face hurts. Yes. That time of day is anytime before 11:30 AM. I'm chrono-delayed. It's a thing. If you need something done at 1:30 AM, I'm your girl. We all have our strengths. Part of going vegan means that I don't have to suffer through egg brunch dishes anymore. Yay! I can just eat the carbs and beans that I like. 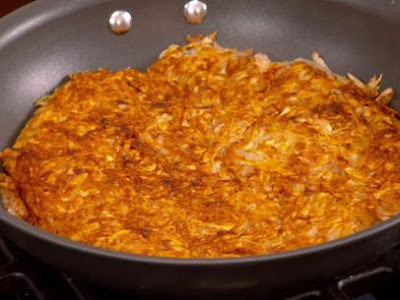 Hash browns or home fries, with black beans, vegan toast, maybe some steamed broccoli: these are all yummy brunch foods to me. I still have an issue with the timing of brunch, and the long waits to "brunch" anywhere decent. I still won't be a brilliant, sparkling conversationalist at brunch, because it happens early in my day. Sorry. If you love brunch, I will go with you. I will be the worst brunch date, but you don't have to brave it alone. Are you going to finish those hash browns? May I have them?